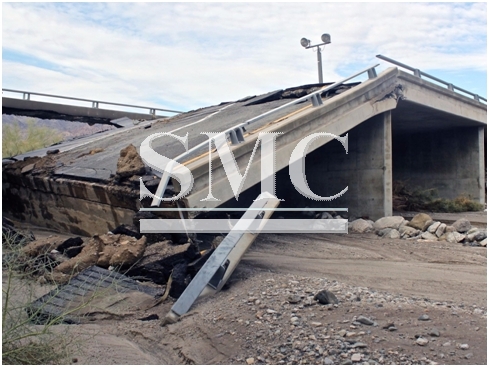 Home>News of Construction and Building > The U.S. is trialling an ‘earthquake-proof’ bridge! The U.S. is trialling an ‘earthquake-proof’ bridge! The United States is trialling what will be the first bridge in the world that can ‘bend’ its way through an earthquake. The bridge will be located in Seattle on the west coast of the United States, an area that is reasonably prone to earthquakes. The bridge will be the result of 15 years worth of research inside the ‘Earthquake Engineering Lab’ at the University of Nevada. The bridge is going to be made out of flexible materials which once the earthquake has finished, revert back to their original shape. It will use “super-elastic metals and bendable composites” such as shape-memory alloys, bendable concrete and titanium to keep the bridge operational after a quake. The concrete is also being constructed in a way that will allow it to be bendable, consisting of memory-retaining rebar in the column. It will use “super-elastic metals and bendable composites” such as shape-memory alloys, bendable concrete and titanium to keep the bridge operational after a quake. Columns that have already been tried and tested in the universities lab were able to withstand an earthquake that measured 7.5 on the richter scale, not only withstanding but also going back to the exact position it was in prior. There is just one problem with this bridge… it will cost 90 times that of a bridge constructed out of the standard steel and concrete. However, due to the countless lives that can be saved as a result of such a breakthrough innovation, the Federal Highway Administration gave the go-ahead for this small-scale real-world test, and a federal grant paid for much of the additional costs. Let’s hope for the best, this could be a revolutionary breakthrough for the future of protection against natural disasters.